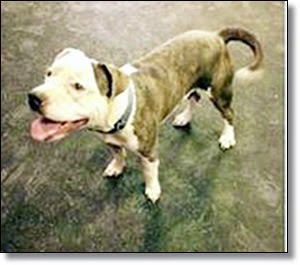 $2,000 REWARD: On February 21, 2015 the WHS discovered an adult, male, blue brindle and white pit bull-type dog with infected wounds on his front legs; he was in a dumpster behind 351 53rd St. SE. The dog may have been placed there the previous night. The Washington Humane Society desperately needs the help of the community for information leading to the arrest and conviction of the person or persons responsible for this horrific act of animal cruelty. 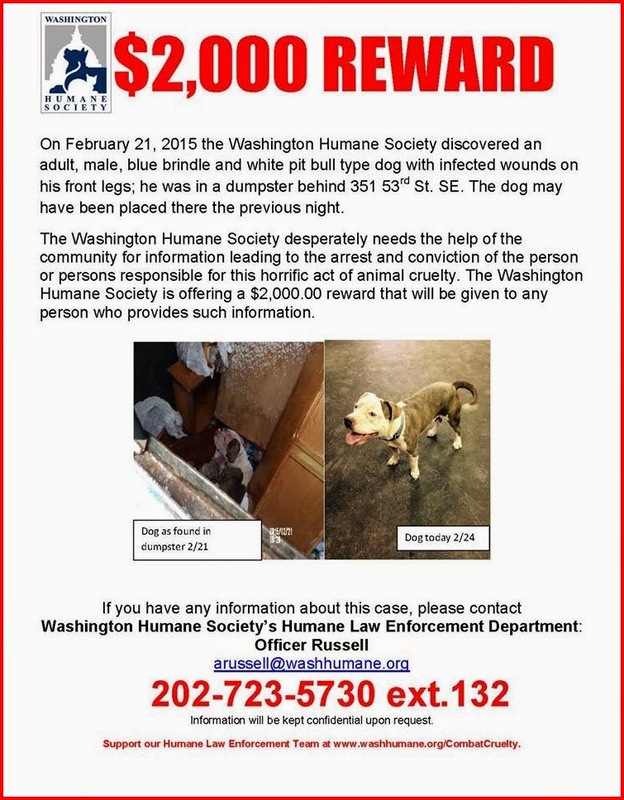 The Washington Humane Society is offering a $2,000.00 reward that will be given to any person who provides such information.